“3, 2, 1 Blast Off!” – that was what my 4 year old kept shouting when I told him we were going to the National Space Centre in Leicester. He loves watching Q Pootle 5 on Cbeebies ,along with his 2 year old brother, so they were super excited about their trip to the Space Centre. We visited the Space Centre as part of the amazing great value Stay, Play and Explore package run by Go Leicestershire which offers 1 nights stay in a 4* hotel inc breakfast and tickets to 3 out of 5 family attractions for just £129. 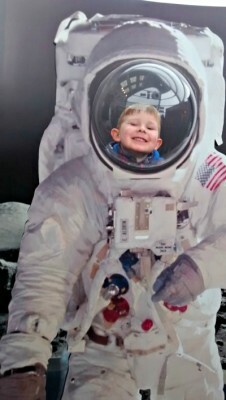 We had wanted to visit the Space Centre for a long time, so the Stay, Play and Explore package gave us the opportunity to do this, and combine it with trips to other fantastic attractions in the Midlands. The Space Centre is the UK’s largest attraction dedicated to space exploration and space science. 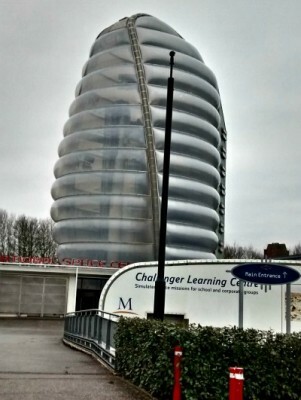 It is located in an impressive building a couple of miles from Leicester City Centre, and has loads of cool things such as rockets, satellites, moon rock and even the UK’s largest planetarium. As soon as you drive into the car park you can see a tall building which is the iconic Rocket Tower – home to the Blue Streak and Thor Able rockets. The boys were really excited about seeing a ‘real life’ rocket so we headed there straight away after arriving. There is a lift which takes you up the Rocket Tower stopping at various levels to see the rocket which really gives you an appreciation of just how big it is! There are also some great interactive displays about the topics such as the first dog in space, the Russian / American Space Race as well as seeing some real Moon Rock. 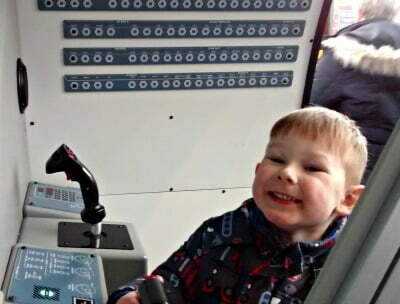 The National Space Centre is perfect for young children – there are loads of buttons to press and things to climb in and one of my boys’ favourites was the Experience Launch Tower at the top of the Rocket Tower. They climbed into a ‘rocket’ and my husband and I were in Mission Control helping them prepare for Blast Off. We had to instruct them about the final checks they needed to make before lift-off. They loved playing in this (not really listening to our instructions) and we had to drag them out at the end. 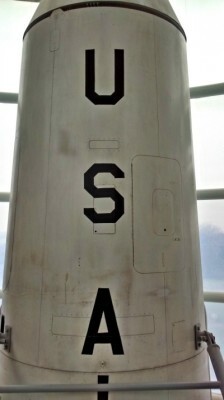 There are 6 exhibitions in the Space Centre which we explored after we had finished in the Rocket Tower. The boy’s favourite was Into Space where they came face to face with astronauts and could try on a space suit. My husband and I liked the mock up of one of the module’s of the International Space Station – it was a lot smaller than I expected and I don’t know how astronauts managed to live in there for long periods of time! My boys also really enjoyed the Orbiting Earth exhibition which is very atmospheric – the room is dark with a large planet Earth as the centre piece of this exhibition. My son is just learning to read so he didn’t quite manage to read the weather forecast in the Weather Pod but maybe next time! Another highlight of the Space Centre is the Planetarium. This is the UK’s largest planetarium and there are regular shows throughout the day taking you on a 360 degree journey into space. Is the National Space Centre a good day out with babies and toddlers? A resounding Yes! 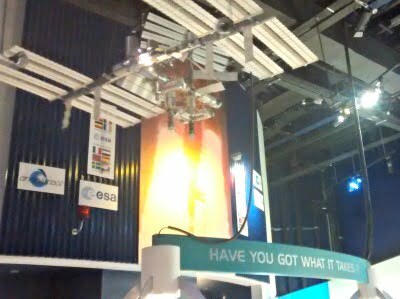 There are loads of things to touch, lots of flashing lights and rockets and space stations to climb in. There are baby change facilities, high chairs in the café and it is pushchair friendly. I don’t feel like we got to see it all so I think we will have a return visit – there is so much to do and see here. There are also regular events where the characters from Q Pootle 5 come and visit and also wonderful Small Space Toddler Days. These are when parents can bring their little astronauts to the Space Centre on a day especially for Under 5’s to take part in astronaut presentations, singing and trails. There is also the chance to see a special show specifically for toddlers called Astronaut George. Car Parking is £2 per car – bring change. Café – Sandwiches and soup were served in the Café, however a new Café is currently being built and will be open later in 2015. Children’s lunch boxes comprising of the usual sandwich, drink and chocolate bar were £4. A day out at Conkers in the National Forest!